ARANIA has successfully gained certification of quality for its management system under standard IATF 16949:2016. Leire Barayazarra is an industrial technical engineer for the University of the Basque Country (UBC), specialised in mechanical engineering. Her professional career began in 2009 when she joined the rolling metalwork department of GROUP ARANIA as an intern. Ten years later, Leire is in charge of the Quality Management System and member of the Board of Directors taking part in the strategical decisions of ARANIA. In the first few years, Leire accepted jobs within the quality department in the factory which ARANIA had just acquired in Basauri. This factory added to the one which had already been running in Amorebieta for over 70 years. In Basauri, Leire helped to consolidate the transformation of the production of the factory’s management system ISO 9001 into a high demand system which the leading clients in the European automobile market were demanding from their supplies, certification ISO TS 16949. In just two years, in 2011, the ARANIA team obtained the certification ISO TS 16949 in both Basauri and Amorebieta. 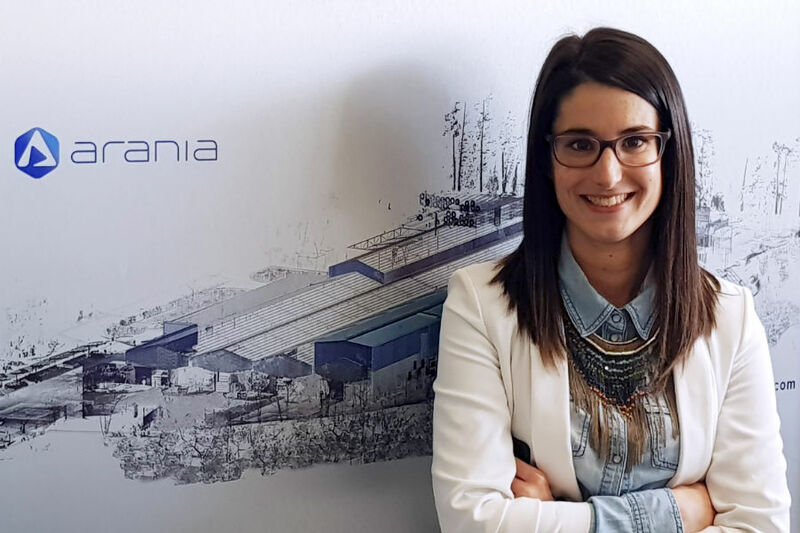 After this success, in 2013, Leire took on the responsibility of the Quality management system in ARANIA for both factories, while providing support to the process of integrating client needs into the whole supply chain. She incorporated the team of Customer Technical Support into national and export markets. In terms of product excellence for both clients and suppliers, and the excellent production process carried out, in 2017, this experience lead to her becoming part of the Board of Directors representing the Quality management system. E: Leire, where did the decision come from to obtain certification under standard IATF 16949 and what does this entail for a company such as ARANIA? LB: ARANIA already supplies over 70% of its product to the automobile sector. Consequently, it is clear for us to tend towards the maximum demands of the sector to be consistent with the confidence our clients have in us. For ARANIA, the new IATF 16949 certification is a benchmark for taking risks, as well as bringing a system and common language to clients and suppliers within the sector all over the world. E: What are the main changes the IATF causes? 1. Process-based approach, given that the new standard is based on integration and interaction of different processes, instead of treating them individually, while always working towards the “optimal global” concept. 2. Being focused on anticipation of risks, by making progress in possible failures across the whole supply chain, and by consequently gaining strong processes the whole way throughout this. In this way, the model of continuous improvement is reinforce, by reducing changeability and waste. 3. Constant research of commitment and motivation of people, through a code of ethics within the organisation, feedback policies, etc. E: What have been the biggest challenges which you have had to face in its implementation? LB: Really the challenge has been to arrange and adapt the existing processes because, in ARANIA, we already work with a very well aligned system in a way. As for the implementation itself, the decision was supported by both the management and by each person who makes up ARANIA. I would like to take this opportunity to thank them once again for their effort and involvement, because it costs everyone, concerning both the IATF16949 and the security certifications OHSAS 18001, environment ISO 14001 and energetic efficiency ISO 50001. E: And finally, Leire, now that we are talking about the big challenges which young people and women must face within the job market, I would like to ask you what means, not only being a young woman in this traditional sector, but also having a senior management role. LB: A key element, in my opinion, is a good level of continuous training or professional development. I was lucky that I was given the possibility to build it up gradually, I gained responsibilities little by little, by learning from both my work colleagues and external companies who I worked with daily. As for being a young woman, I think that ARANIA is a modern company who bases its promotional criteria on the competences of each person, by obtaining fair development at all level. Furthermore, I believe that, on a global level, we must strengthen the measures which take equality into account and, that’s why we must, men and women in the same team, continue to fight every day as a team for changes towards equality. E: Thank you very much Leire, Zorionak danori eta ondo izan (Congratulations and good luck)!